Modern Tantra in the West has a focus on interpersonal relationship and is influenced by recent psychology. Interpersonal issues addressed by Neo Tantra like communication, trust, genuine intimacy and self awareness within relationship can be addressed by group work. There is an opportunity to experience group works power in Heart Circle. I make this recomendation to those seeking Neo Tantra practises because I have experience in circle that remains a personal and professional value to me. I have found Libbys circles to be safe places to explore vulnerable parts of myself and gain valuable feedback, acceptance, fun and genuineness. Below are details about Libby and about Heart Circles plus links to contact her for more information. I qualified in several coaching/healing modalities; Heart Intelligence, Theta Healing and Diamond Light Temple Activations as well as having a considerable background in spiritual research and experiences. In my background, I have been a teacher, trainer, mother and coach and all of these tools I use to help the processes of transformation for myself and for others. I enjoy changing things as it gives me a boost of energy. I know I'm perfect inside, but sometimes there are things which just need to be cleared away. HEART INTELLIGENCE is the practice of tracking subtle energies; physical, emotional, natural and spiritual. It assists to open, listen to and follow the heart to become more aligned to the best and highest version of self. In circle with others who are centred in their hearts, an amplified field of energy is created which is available to all present. What does 'living from the heart' mean? How can I do that in my life? To benefit from connecting with a deeper part of yourself and feel more authentic in your relationships and confident in the choices you make, learning how to 'get out of your head' is the first step. This course will give you practical tools and skills to use every day to ground you and assist you to find your own inner compass, self-confidence and intuitive guidance. WEEK ONE - Circle Agreements. Tuning in. WEEK FIVE - Emotional Scale and Range. You will also have the opportunity to buddy with another circle member to have a short personal practice during the week. These can be in person or on Skype and I will be available by 'phone for any queries. A closed facebook group will give you the opportunity to ask questions. I cannot begin to tell you how wonderful these circles are. Tej Steiner who began Heart Circles 40 years ago calls it 'Individual transformation through group connection'. To contact Libby visit her facebook page or website. A good relationship takes more than it seems at first. Communication and connection are so important and this can be the main area where problems arise. Being able to access open expressive communication with each other, to be comfortable with vulnerability and not afraid to make mistakes is how to have a great relationship. In this first session, we will determine some of the key areas where you would like to have better connection and more relaxed communication with each other. This is a time to gently tease out what the main areas of confusion are between you. 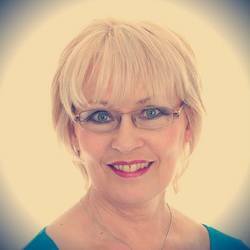 I am a qualified Heart Intelligence Coach, a teacher, and a practitioner of various self-development and healing modalities and meditation. I use Heart Intelligence tools and skills during counselling work and will explain in more detail what these are. Basically, mindfulness skills, breathing techniques and tuning into the biofeedback system of the body and using the information gathered. The nature of this type of coaching requires a commitment to more than one session. Therefore, this is a package of six sessions, the first is one and a half hours and the remaining five are one hour each. I also offer individual one to one coaching sessions which might be useful and of interest. .This is a face to face talking therapy and I facilitate some deep enquiry using Heart Intelligence tools and skills. I will assist you with any concern you have, both personal and relational. Tracking. A mindfulness technique in which the subject is witnessing all aspects of their being...physical, mental, emotional energetic and higher self. Emotional Expansion. This is a way of opening to expand the range of emotions currently being processed in order to access a wider range. This can give more perspective on a subject. Visioning. This is a way of creating a blueprint for holding a greater vision on any aspect of life. Inner Child. This is a way of accessing the inner creative and innocent nature within all of us in order to process any emotions from this time which may be holding us back. There are a few other aspects to this kind of coaching, but it is basically a way of getting out of conditioning and beliefs about self and into a wider understanding in order to move forward.